The senator raised practical and historic objections to granting a waiver for a recently retired general to serve as Trump’s defense secretary. The founders of the American experiment well understood the danger of ceding control over the military to generals. When they wrote a constitution in 1787, they sought to chain the dogs of war by requiring that the Congress declare the intent of the United States to engage in military conflicts and by empowering an elected president to serve as commander in chief. This understanding of the need to maintain civilian control over the armed forces of a the nation has extended and deepened over time, with the enactment (as part of the 1947 law creating the Department of Defense) of a requirement that a military officer must be out of uniform for seven years before assuming the pivotal position of secretary of defense. For retired Marine general James Mattis, Donald Trump’s pick to serve as secretary of defense, that was a challenge. Having only retired in 2013, Mattis needed a congressional waiver. Most members of the Senate and House rushed to provide it, as Mattis is generally well-regarded within the military and within the corridors of power in DC. Ultimately, the Senate voted 81-17 on Thursday to grant the waiver. That lopsided decision can be read as an indication of the likelihood that the Mattis nomination will be easily approved by the chamber. But it is important that there was dissent on the waiver issue. He has served our country admirably. He is well-regarded as an extraordinary general, and I am very grateful for that service, and I’m very grateful that he’s willing to continue his service for the president-elect. But I still believe that civilian control of our military is fundamental to the American democracy. Concerns about how Trump and his appointees relate to Congress ought not be neglected. 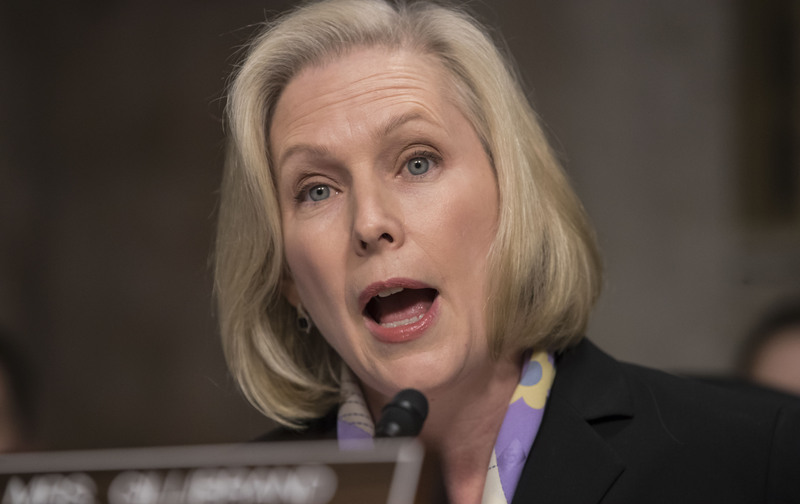 But the argument for voting against the waiver has much deeper roots—as Gillibrand explained throughout the process.